In commercial real estate today the adverts that you create and publish should be special and unique to the location and the property type. 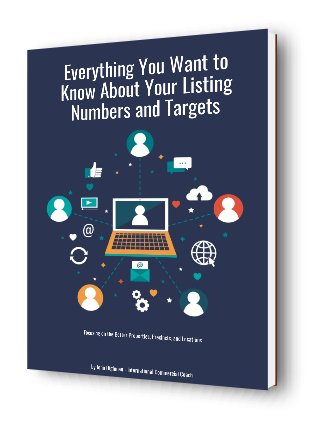 You really only have one chance at pulling in the interest of the reader to your property listing in your target market. The people that you want to attract to your listing are out there thinking about and acting on property matters. They will very likely see the advertisement you place, and then they will make their choice whether to go further based on the facts of the ‘first view’. So you have some promotional choices to make here. Factors of attraction really matter in your property advertising. Given this unique pressure and the other competing properties in the location, your property has to stand out in every way possible both online and offline as interesting and real, that is specifically to catch the eye of the reader. Define the target market requirement of lease or purchase. The generic approach in property marketing really doesn’t work today. Publicize the property comprehensively. Make sure that you have all the bases covered in your target market. Use all the online and offline marketing channels that your budget will allow; some of those channels will be better than others. Promote the features of the property to the target market of buyers or tenants. Plan that approach so you reach the right people. It is relatively easy to build a short list of improvements and features in the property if you have undertaken a comprehensive inspection and then interviewed the client to understand asset history and performance. Shape a comprehensive advertisement around the facts and property features. Look at the asset from the target market perspective. What words, phrases, and photographs would pull in their attention? Praise the location and the quality of the property where possible. You can use words and phrases that sell the facts of the property; get a thesaurus to help you do that. Don’t use the same old words that all other agents have been using for years. Help your property stand out with great advertising copy. Talk up the facts of the asset and its release to the market. Explain the fuller facts of the listing that are the ‘strengths’ or ‘draw-cards’ for pulling in the interest of others. The narration and facts about the asset should be short but specific. Say the things that are interesting and notable. Build the story about the property. Create a picture using your words; help the buyer or tenant ‘see’ what you have to market and how they will be interested. Location clarity – make sure you clearly include the location in the headline or sub-headline. The location an essential part of attracting and converting more property enquiries. Most people search for properties to buy or lease from the location keyword first and property type second. Target market and coverage – make the right media choices to pull in the target market that you really need. Leading question – use a leading question to frame your advertising message. That for example could be, ‘Need warehouse storage?’, or ‘Want higher class office space?’. A good question will help you build a story and attract interest in the advertisement. Advertising goals – determine the volume and type of inquiry you want from the campaign. Harvesting strategy – how will you pull in the inquiry locally and regionally? There are different ways to approach people about a property listing. Don’t forget about a ‘target and direct marketing process’. Talk to the local people. Property headline – the headline on your advertisement should be catchy and relevant. In saying that, make sure that the words in your headline are selected with care and caution. Don’t overstate something about the property where you can be accused of misrepresentation (and later sued). If you want ideas to help you do the right thing here, look at how the local newspapers use headlines; you can always get some ideas for good headlines from local media messages and advertisements. Keyword focus – when you consider an individual listing, certain words will stand out as important to the promotion of the property. They are the keywords, and they will usually be a combination of location, property type, improvements, and property features. Merge those words into your advertising story. Good quality professional photos – images always help in attracting inquiry. Use professional photos wherever possible. That will be a cost to the campaign and will usually be a vendor (client) paid cost. Words that describe and sell – a good thesaurus will help you in crafting a professional property advertisement. You can download an ‘app’ for that on your smartphone and use the ‘app’ whenever the need arises. Dot point layout – make it simple for people to read your property advertising. Adults don’t like reading a huge advertisement; they want the facts and the features. They will make a choice about the property in the first 5 seconds. Dot points are a great way to feature the key points about the property, the location, and the target market. They also help in positioning the asset for better levels of inquiry. Call to action – make it easy for people to contact you. Incorporate a contact strategy of both email and mobile telephone. Be prepared to take the calls at any time of day as you go about your local property business. Editorials – an interesting property can be featured in an editorial in the local media and or an article on your website. If the property has a history that the local people can relate to, then you have a story to work with. Using these rules, you can write some very unique and relative property advertisements. Follow the rules and you can attract more inbound inquiry. When you have some good quality listings, that is a great outcome.